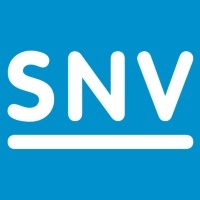 SNV is a non-profit international development organisation established in the Netherlands in 1965. For over 50 years, SNV has been at the forefront of development, helping to build local capacity and empower local families and communities to break the cycle of poverty. We are present on the ground in 30 developing countries in Africa, Asia, Middle East and South America and operate in Agriculture & Food Security, Renewable Energy, and Water, Sanitation & Hygiene. Our 1,200+ advisors in the field come from a variety of cultural and technical backgrounds, and the vast majority are nationals of the countries where we work. As a result of civil unrest in Burundi, since mid-April 2015 an estimated 250,000 refugees have arrived in Tanzania – in addition to 65,000 long-term hosted asylum seekers. An estimated 2.1 million persons reside in Kigoma Region of whom more than 850,000 Tanzanian nationals reside in local districts hosting the refugee camps. The significant increase in refugee population, over a relatively short period of time, into a comparatively limited space has created intense environmental impacts driven largely by energy consumption needs. An estimated one million or more trees have been cut for fuel and shelters in Kigoma as a result of the recent refugee influx. 1. Market Based Inclusion & Integration: dedicated and coordinated response mechanisms to each group along with joint capacity building sessions will be undertaken. 2. Enabling Actor Energy Engagement: extend opportunity for capacity supports in training to humanitarian assistance players and government. Through mutual planning and implementation of activities, partners will be strengthened to take humanitarian assistance towards a more inclusive and sustainable market oriented approach. 3. Performance Based Programming & Financing Supports: market based approaches applying performance incentives (both non-monetized and financial), which animate local and commercial participants to expand their markets to until now untapped and remote regions. These in turn will offer regional residents access to new energy technologies as well as opportunities to take part in economic activities. 4. The Project Officer – Energy Technology and Services Lead (Technical Lead) plays a key role in the overall leadership and implementation of the RESPOND programme. As the lead in-region technical staff member, the Technical Lead plans and implements technical training, installations and product-service development in improved cooking (stove and biomass fuels) and off-grid solar in refugee camps and surrounding host communities. The Technical Lead coordinates ongoing programme and product delivery through capacity support to local public and private sector partners.The Technical Lead is responsible for ensuring that the field team utilizes approaches that are conducive to market and enterprise development, and are implemented to quality standards with evidenced performance results. Under the supervision of Programme Manager – Sector Leader, the Technical Lead is responsible for day-to-day field coordination, program support, project documentation and field office management working in close collaboration with Energy Sector Project Managers to achieve results.As a senior member of staff and experienced technical staff member, the Technical Project Officer is also responsible for coordinating with the Energy Sector team and for contributing to the overall quality of the SNV Tanzania Energy sector content. S/he will support the quality of technical advisory services and overall integrity of SNV Energy programmes in Tanzania and the national Energy sector. The Technical Project Officer reports directly to the Programme Manager – Sector Leader and collaborates closely with the Energy sector team. • Ensure high quality implementation of the project deliverables to the achievement of results in cooking energy technologies, (biomass) cooking fuels and off grid solar products. This will include coordinated dual delivery in refugee and host community of training and ongoing coaching that supports technical skills development, entrepreneurship and awareness building. • Lead, manage relationships and motivate the local project field team, partners and relevant stakeholders; plan and assign agreed local task deliverables in manners that support capacity development and strengthening; facilitate positive relations in a context of diverse social and cultural interests. • Knowledge, documentation and communication – Ensure full synthesis, analysis and documentation and sharing of project insights and results with respect to energy technology product-service development, delivery-use and quality control. This is a full-time national position with the successful candidate being contracted on a one-year basis with the possibility of renewal. Salary is competitive and commensurate with qualifications and experience and includes a competitive secondary benefit package. Submit your Cover Letter, CV and Salary History on or before 12th October 2018. if you wish to be considered for this position. All information will be in the strictest confidence. Only shortlisted candidates will be contacted.